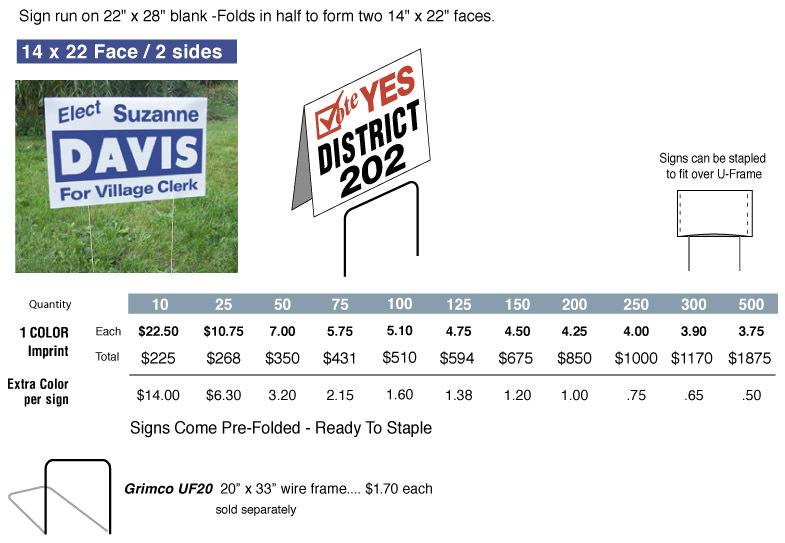 Our Most economical lawn Sign. Great for small quantity runs. Now comes pre-folded.